A letter signed by 95 Saharawi civil society organisations appeals to the EU Parliament and Council "to prevent EU plundering of a people's fish in Western Sahara". and our people, save Europe’s legal foundations and its honour", the text reads. The letter is signed by 95 civil society groups from the occupied part of Western Sahara, the refugee camps and the diaspora. The EU Ministers of Fisheries are expected to vote on the proposed EU-Morocco Fisheries Agreement and the Protocol thereto - which are intended to apply to the waters of Western Sahara - in a matter of weeks. The European Parliament, which usually takes more time to assess such proposals, is rushed to come to a vote by February at latest - allowing hardly any time for the Committees to thoroughly evaluate and debate the proposal. A first, and only, debate in the Fisheries Committee took place last week. 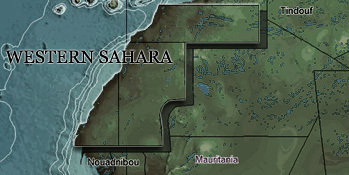 In February 2018, the Court of Justice of the European Union concluded that the EU-Morocco Fisheries Partnership Agreement and the Protocol thereto cannot be applied to the waters adjacent to Western Sahara, as that would be a violation of international law, particularly of the principle of self-determination. In July, the EU Commission and Morocco initialed an agreement and Protocol that is intended to apply to those very same waters, without as much as giving the people of Western Sahara a say in the process.